What can be better than chocolate? 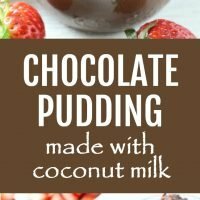 In my opinion, only coconut milk chocolate pudding can be better than chocolate. Is there anything better than chocolate pudding? 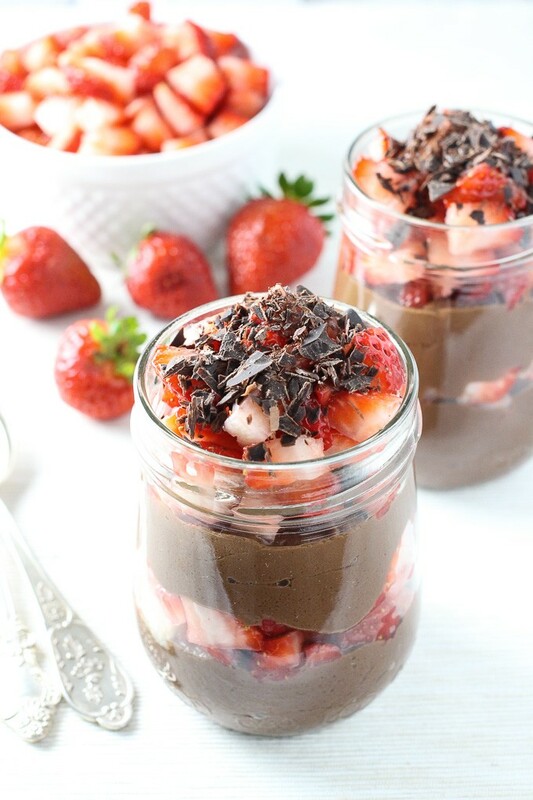 Only coconut milk chocolate pudding with strawberries is better than plain chocolate pudding. 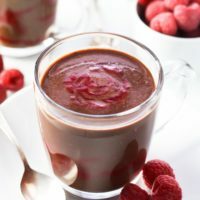 This chocolate pudding has a rich chocolate taste and is very smooth and silky. 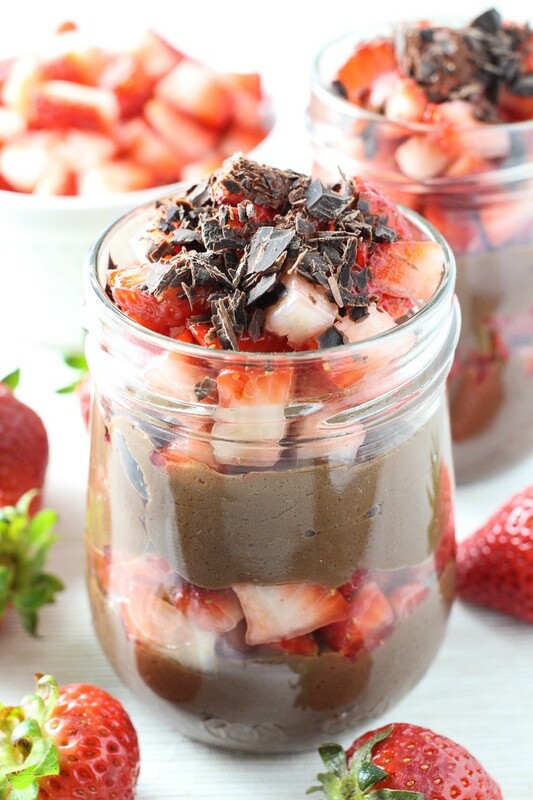 It’s also dairy and egg free and could also be served as a chocolate dip. 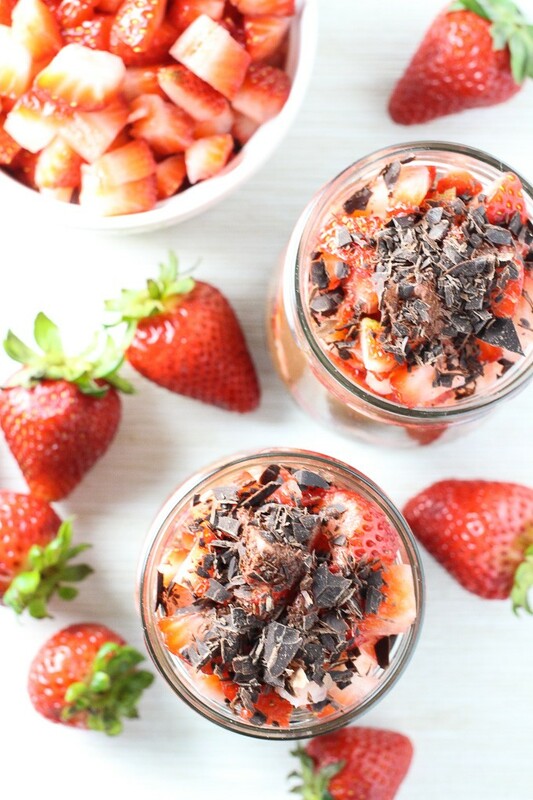 It’s strawberry season here in Ontario, that’s why I served it with strawberries. 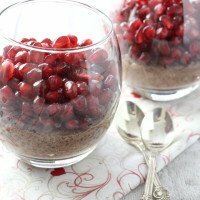 It would also taste great with other berries, for example, with raspberries. You can also serve it as is or topped with some chopped nuts. This chocolate pudding tastes best at room temperature. If you refrigerate it, the pudding will change its texture. I found that it doesn’t taste nearly as good when it’s cold. Since it doesn’t contain any eggs or dairy, I don’t worry about keeping it out of the fridge for a few hours. If you still what to refrigerate it, the pudding can be warmed up once your are ready to serve it and the texture will return back to normal. The quality of the chocolate is very important in this recipe. I used 72% chocolate that comes in bars. 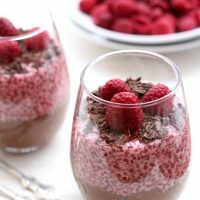 I wouldn’t use regular chocolate chips for this pudding because chocolate chips usually have more additives such as vegetable oil that help to keep their shape after baking. That’s why some chocolate chips don’t melt as easily as chocolate that comes in bars. 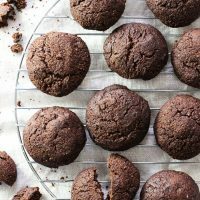 If you are looking for more dairy-free chocolate desserts, check out these Vegan Chocolate Cupcakes, these Almond Flour Chocolate Cookies, and this No Churn Vegan Chocolate Ice Cream. 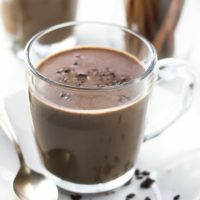 This coconut milk chocolate pudding has a rich chocolate taste and is very smooth and silky. 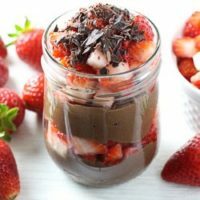 It’s also dairy and egg free and can also be served as a chocolate dip. Pour all contents from the coconut milk can into a medium pot. Place 3 to 4 tablespoons of the coconut milk liquid into a small bowl (sometimes there will be solid and liquid coconut milk in a can depending on the quality of the coconut milk and the room or storage temperature). Add 2 tablespoons of the arrowroot powder into the bowl and whisk until fully smooth. Add the chocolate to the coconut milk and start warming it up over medium heat stirring occasionally. (You can also melt the chocolate separately if you want to measure it when it’s melted and then add it to the coconut milk). Once the solid parts of the coconut milk are dissolved and the chocolate is melted add the maple syrup and vanilla extract. Stir to combine. Start slowly pouring the arrowroot mixture into the coconut milk making sure to constantly whisk. You will notice that as you warm up the mixture, it will become thicker. It is very important not to overheat it – do not bring it to a boil or simmer because if overheated the arrowroot powder will lose it’s thickening ability. Once the pudding is nice and thick, take the pot off the heat. 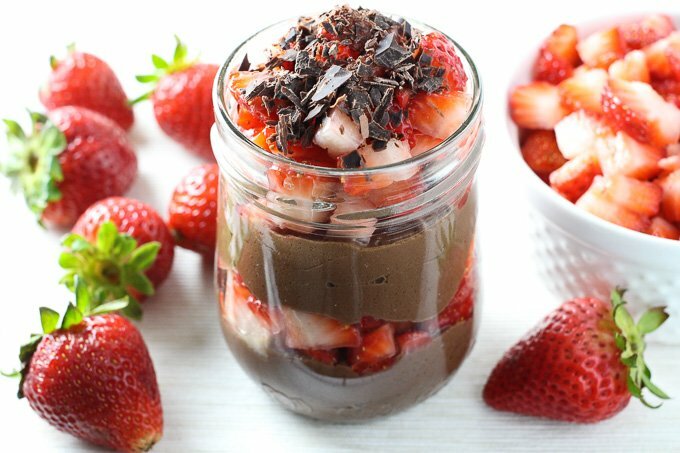 To serve the pudding, let it cool to room temperature and arrange with strawberries in jars, small bowls or dessert glasses. Maria, these photos are gorgeous (as always)! I luuuuuuuuuv chocolate pudding. This sounds absolutely delicious! Thanks, Trish! 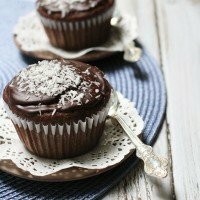 I think I am posting too many chocolate recipes 🙂 Oh, well, can’t help it. I adore chocolate pudding! Gorgeous photos Maria!